The Hospital (病院) is an area that resembles a clinic. 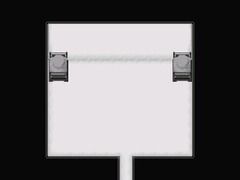 It can be accessed from the Hole, and contains the Black Hood effect. 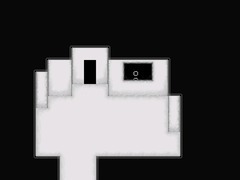 After entering the Hospital, the player ends up in the entrance area. It is impossible to interact with the silhouette behind the counter. 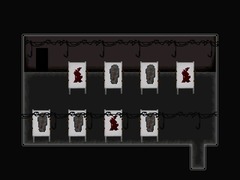 By going through the only door in this place, the player arrives in the main area, which contains seven doors, and also a Fetus, but only if this room is visited by Rust. 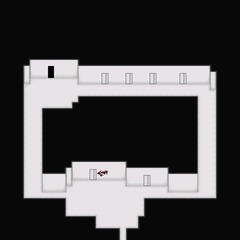 The door with the bloody arrow next to it leads to the doctor's room (医者). It is inhabited by the Doctor and Nurse. They do not respawn after they are killed, and do not appear if their room is visited by Rust. The Doctor initially sits on his chair, but gets up if Sabitsuki equips the Iron Pipe, and leaves his glasses behind after his death. While the Doctor does not react to the Whistle, the Nurse reacts to it like any other NPC, but both the Doctor and the Nurse ignore the Handgun. 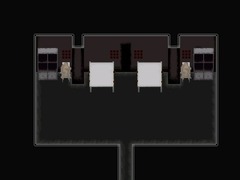 The door to the right of the doctor's room leads to the operating room (手術). 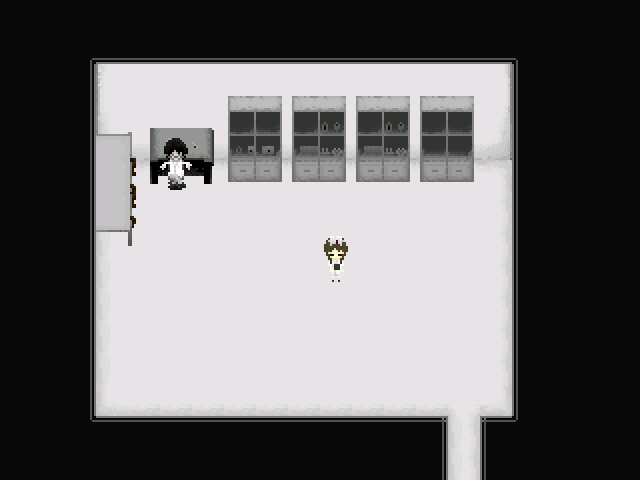 This room contains a body clad in a Black Hood, Sabitsuki can get this effect by interacting with it. There are five doors on the northern wall of the main area of the Hospital. 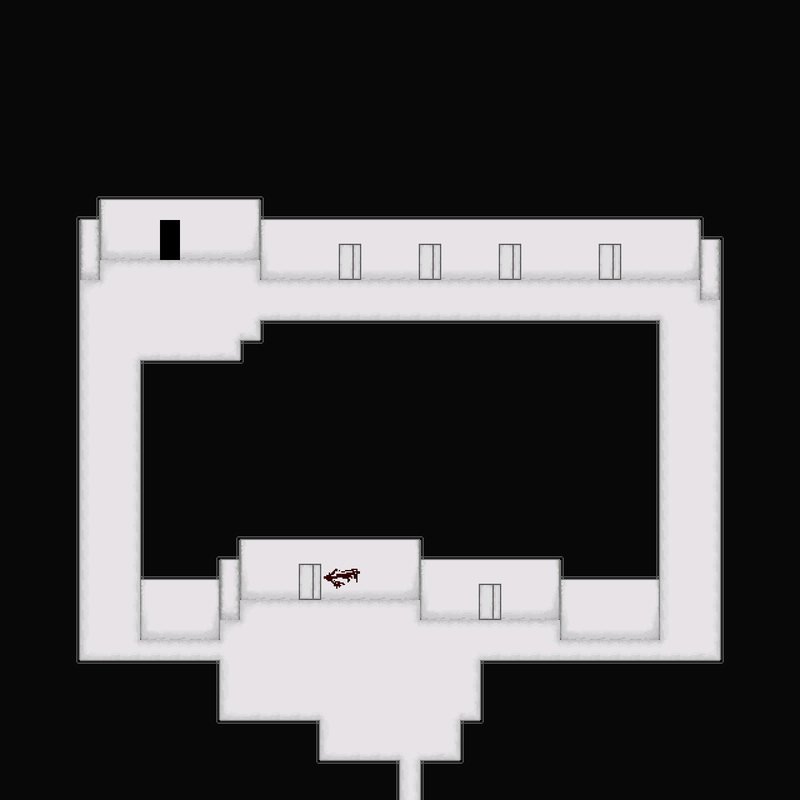 The leftmost door leads to the Morgue (モルグ), the other four lead to the hospital rooms (病室). The first one contains two beds. The bed on the left side of the room is occupied only if Sabitsuki visits this area. If the player goes here as Rust, the bed will be empty. Another bed is occupied by little Oreko. Usually, she just sits on it while swinging her legs, but sometimes she sleeps while sitting. When Oreko is awake, she reacts to the Handgun by covering her ears and closing her eyes tightly, and if she is asleep, the gunshot wakes her up. She does not react to the Whistle. Oreko is not frightened by the Iron Pipe, and when she is killed, her body remains lying on the bed. After she is killed, Oreko does not appear anywhere in the world. If the player killed her elsewhere, her corpse will be present in this room anyway. 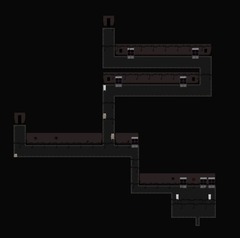 She is dead if visited by Rust, and does not appear at all if the player witnessed her disappearance in the Deadhole. 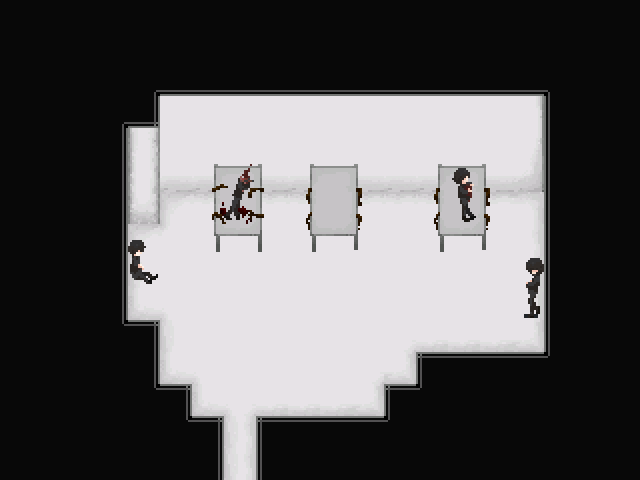 The second hospital room contains two occupied beds and there is nothing to interact with. The third ward contains the same two occupied beds, but there is a child with mechanical legs walking around the room. The child does not react to the Whistle or the Handgun, and is not frightened by the Iron Pipe, but can be killed. The fourth ward contains the same occupied beds, and nothing interactable. 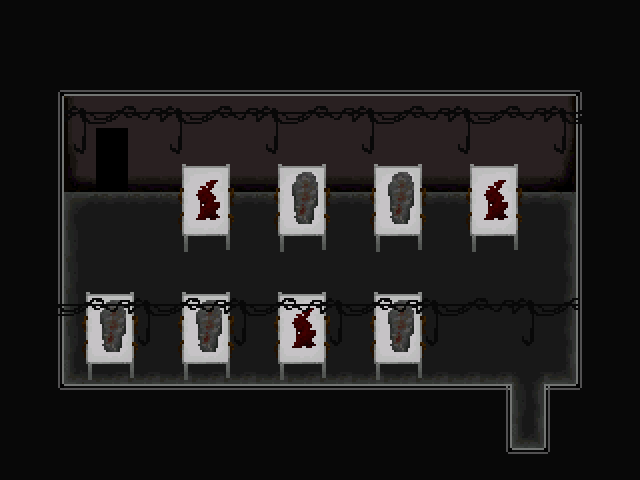 The Morgue is a dark place which contains chains with hooks riding back and forth across the rooms and a big number of tables, either empty, or with bodies and something else. The starting room of the Morgue leads to the Passage (通路), which contains a single Fetus if visited by Rust, and also branches into two paths. By going west the player will arrive to the Garbage area of the Hole. By proceeding upwards, the player will reach the Back Ward entrance (裏病棟入り口). The variable that determines whether Oreko is asleep or not is set every time her room is visited, so the player just has to re-enter her room to see her in a different state. This might be a hospital Sabitsuki visited or stayed at. This could be the place where Sabitsuki and Oreko first met.